Longitude, is a geographic coordinate that specifies the east–west position of a point on the Earth's surface. It is an angular measurement, usually expressed in degrees and denoted by the Greek letter lambda (λ). Meridians connect points with the same longitude. By convention, one of these, the Prime Meridian, which passes through the Royal Observatory, Greenwich, England, was allocated the position of 0° longitude. 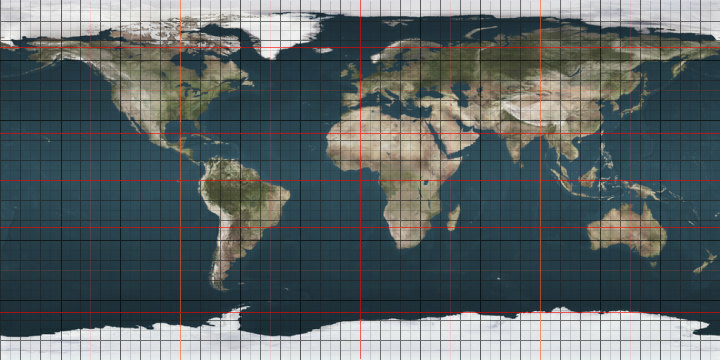 The longitude of other places is measured as the angle east or west from the Prime Meridian, ranging from 0° at the Prime Meridian to +180° eastward and −180° westward. 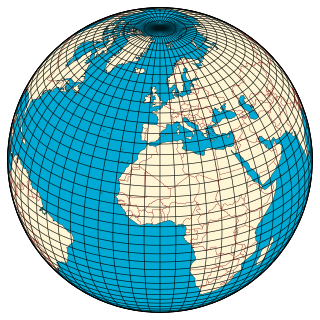 Specifically, it is the angle between a plane through the Prime Meridian and a plane through both poles and the location in question. A great circle, also known as an orthodrome, of a sphere is the intersection of the sphere and a plane that passes through the center point of the sphere. A great circle is the largest circle that can be drawn on any given sphere. Any diameter of any great circle coincides with a diameter of the sphere, and therefore all great circles have the same center and circumference as each other. 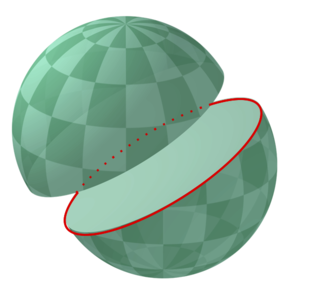 This special case of a circle of a sphere is in opposition to a small circle, that is, the intersection of the sphere and a plane that does not pass through the center. Every circle in Euclidean 3-space is a great circle of exactly one sphere. Sudan or the Sudan, officially the Republic of the Sudan, is a country in Northeast Africa. 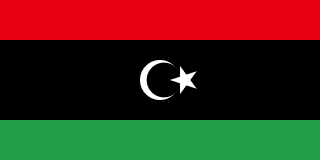 It is bordered by Egypt to the north, the Red Sea to the northeast, Eritrea to the east, Ethiopia to the southeast, South Sudan to the south, the Central African Republic to the southwest, Chad to the west, and Libya to the northwest. It houses 37 million people (2017) and occupies a total area of 1,861,484 square kilometres, making it the third-largest country in Africa. 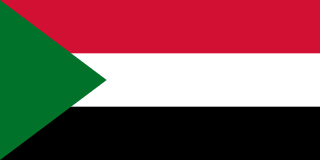 Sudan's predominant religion is Islam, and its official languages are Arabic and English. The capital is Khartoum, located at the confluence of the Blue and White Nile. The meridian 102° west of Greenwich is a line of longitude that extends from the North Pole across the Arctic Ocean, North America, the Pacific Ocean, the Southern Ocean, and Antarctica to the South Pole. The meridian 22° east of Greenwich is a line of longitude that extends from the North Pole across the Arctic Ocean, the Atlantic Ocean, Europe, Africa, the Indian Ocean, the Southern Ocean, and Antarctica to the South Pole. The meridian 141° west of Greenwich is a line of longitude that extends from the North Pole across the Arctic Ocean, North America, the Pacific Ocean, the Southern Ocean, and Antarctica to the South Pole. The meridian 56° east of Greenwich is a line of longitude that extends from the North Pole across the Arctic Ocean, Europe, Asia, the Indian Ocean, the Southern Ocean, and Antarctica to the South Pole. The meridian 129° east of Greenwich is a line of longitude that extends from the North Pole across the Arctic Ocean, Asia, Australia, the Indian Ocean, the Southern Ocean, and Antarctica to the South Pole. The meridian 29° east of Greenwich is a line of longitude that extends from the North Pole across the Arctic Ocean, Europe, Africa, the Indian Ocean, the Southern Ocean, and Antarctica to the South Pole.